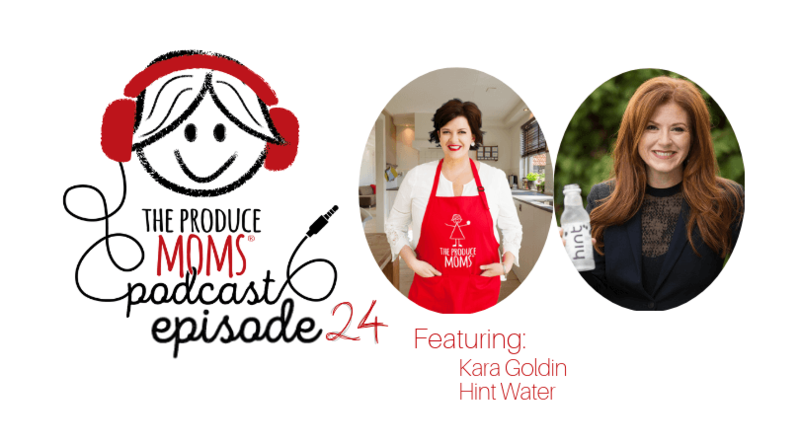 This week on The Produce Moms Podcast we hear from the Founder and CEO of Hint Water, Kara Goldin. Kara shares the story of Hint, birthed from her own journey to find health and wellness. She truly is a voice and public figure in the produce community, and an example of someone with grit and ability to create true change! Hint is one of the only products out there that is created with only real fruit and is free from additives and sweeteners. Hint has still water, sparkling water, caffeinated water, and even a line of sunscreens! Kara and Lori discuss the school and grocery distribution process, and the unique obstacles that have presented themselves as Hint has worked to implement healthier drink options. From major corporations to federal guidelines, it has been challenging for Hint to be readily available in schools, grocery stores, and markets in the United States. However, Kara is passionate and has persevered through the challenges and has seen over 200% growth in the past couple of years. Go to drinkhint.com to find a store that carries Hint, or to order directly online. Outside of her work with Hint, Kara has a phenomenal personal brand. Connect with her at karagoldin.com. You can also find her on Twitter, Instagram, Facebook, and LinkedIn – @Karagoldin.